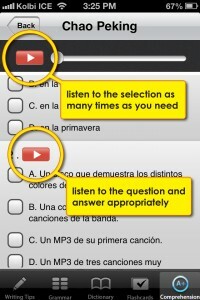 What does the High School Spanish App do? The writing tips section of the app details the requirements that students need to keep in mind as you ask them to write different tipos de texto like formal letters, instructions, interviews, etc. In addition to basic formatting reference, students can view variations to salutations and closings, common transition words and other useful vocabulary to keep in mind for writing, and links to real life examples that can be viewed online. 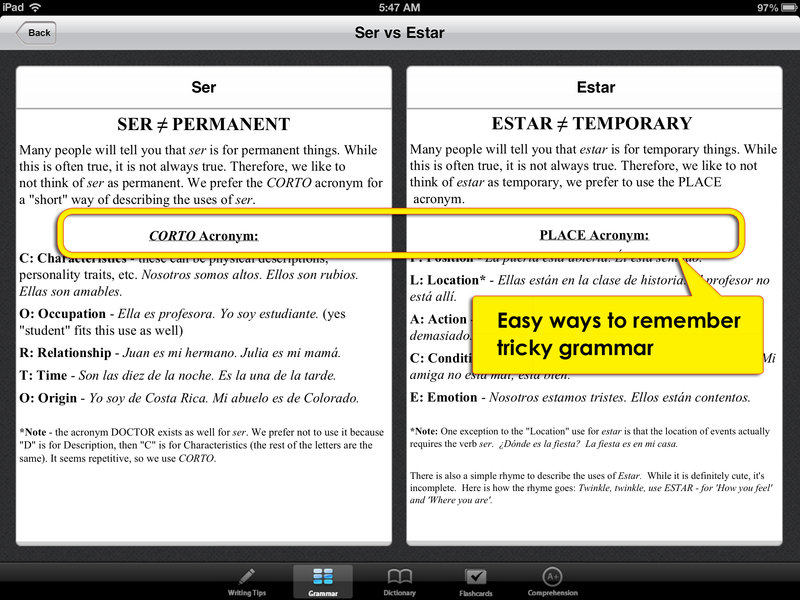 The grammar section of the app tackles all the challenging grammar concepts in Spanish and provides useful ways to conceptualize topics ranging from conjugations of the 14 Spanish tenses on the basic level to subjunctive sequencing of tenses. We use mnemonics and acronyms to remember usage. Our dictionary is so much more than a bilingual dictionary. In addition to including 31,000+ terms, we have integrated a thesaurus for many of them so users can see synonyms and antonyms in Spanish when they view the word details. 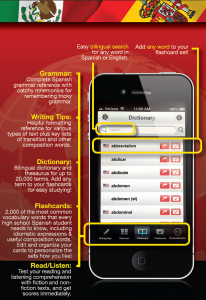 Possibly one of the most powerful functions of the dictionary is the integration of any dictionary term into your own personal flashcard folders. 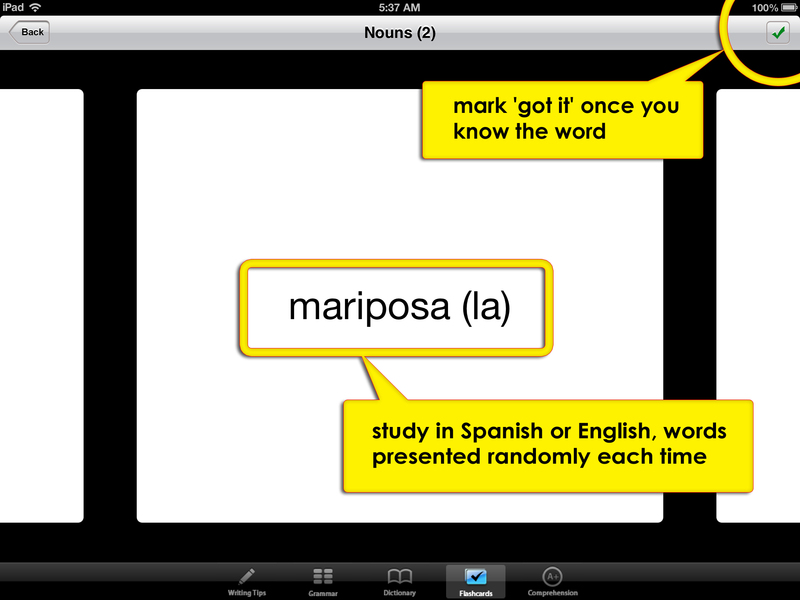 Just add the word directly from the dictionary to your personal flashcard folder and you can study it until you’ve got it! 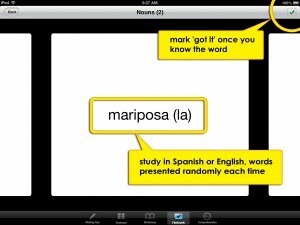 Flashcards – the age old study technique now in a 21st century application! 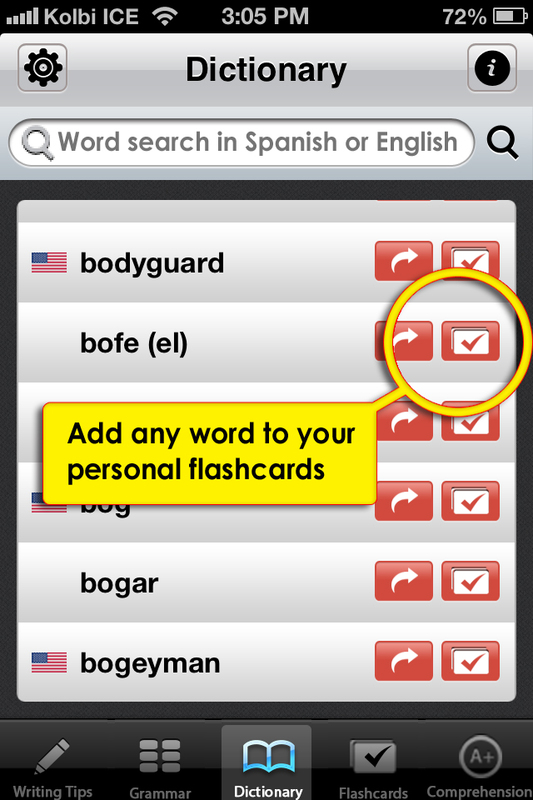 As a standard inclusion, our flashcards include the 3,000 vocabulary words that every high school Spanish curriculum include, plus another several hundred advanced vocabulary terms that you can expect to see in an AP Spanish class. We’ve also included verb conjugations for studying, verbs with prepositions, and other useful categories of information that students must have to communicate fluidly. Students practice their reading and listening comprehension of authentic texts and audio clips. After reading or listening to the selection, they answer comprehension questions. 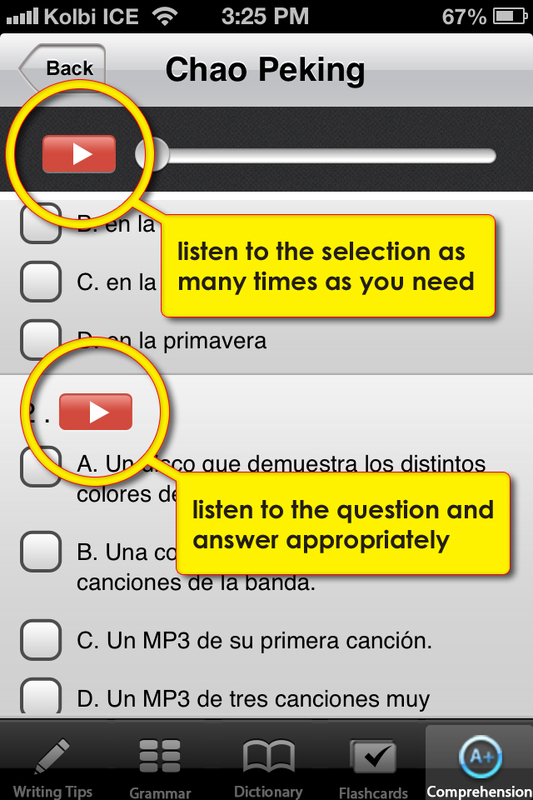 After receiving their score, they can view hints that help them correct their incorrect answers. We’ve not generated any of these reading and listening selections, they are all authentic Spanish samples taken from Spain and Central & South America.